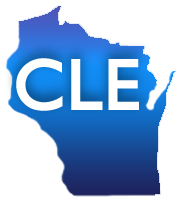 There is still space available in all three of our CLE classes next week. All classes are offered from noon to 1 p.m.
On Tuesday, attend a free class on Beginner WestlawNext or take a webinar on advanced issues in researching Wisconsin Legislative History. On Wednesday we offer a free CLE class on using HeinOnline, a premier database available to our library cardholders. Visit our classes page for more information and to sign up!